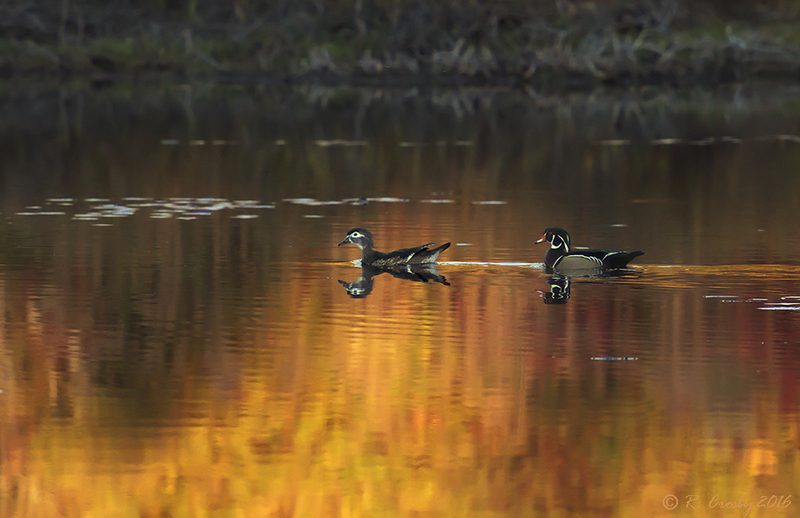 I took the shots of the Wood Ducks during the last hour of daylight on two nights in October, two days apart. 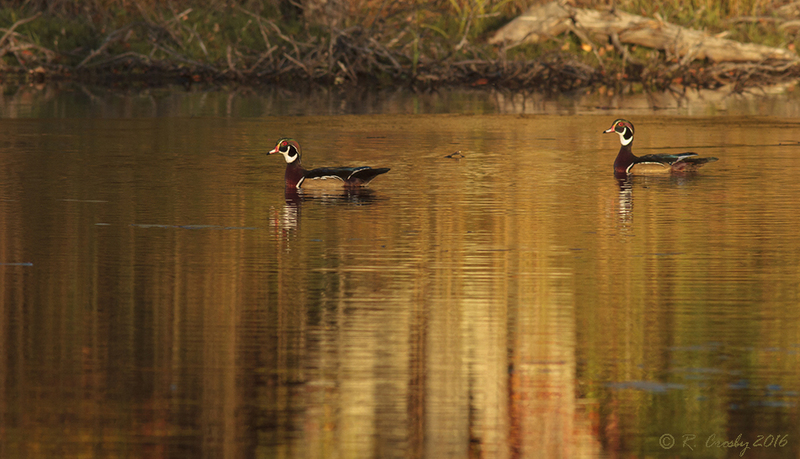 The drake and hen on October 11 and the two drakes on October 13. 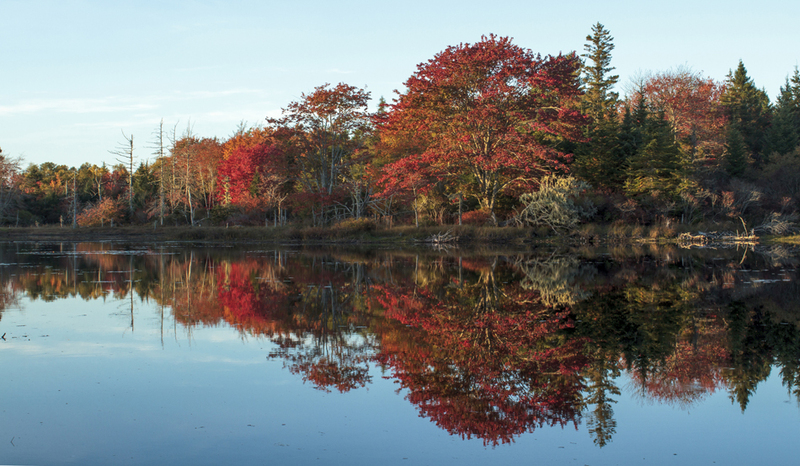 The landscape shot was taken the day in between and all were taken at the same location. It seems quite obvious from the top three photos why they refer to this time of the day as the golden hour.